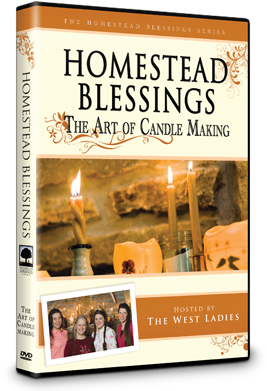 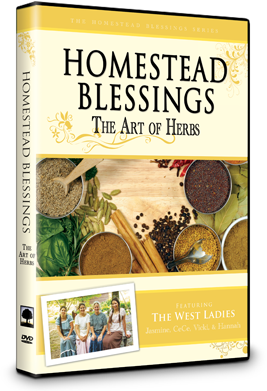 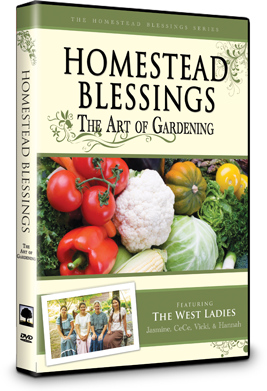 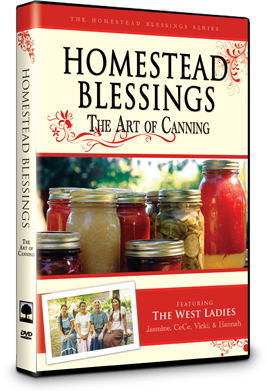 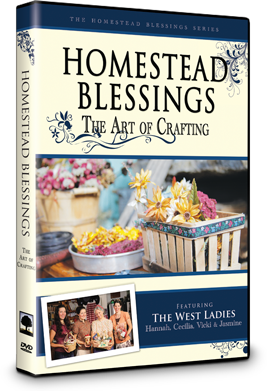 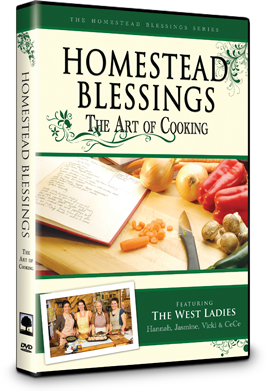 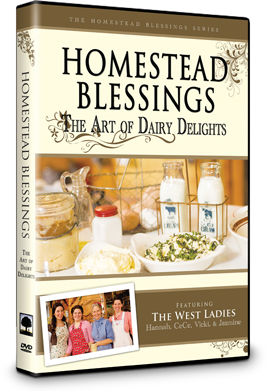 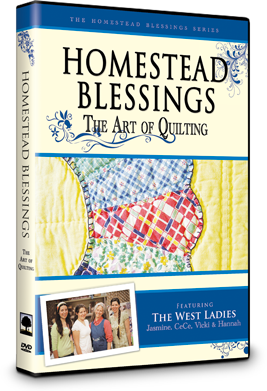 The Homestead Blessings Collection is now available with eleven DVDs. 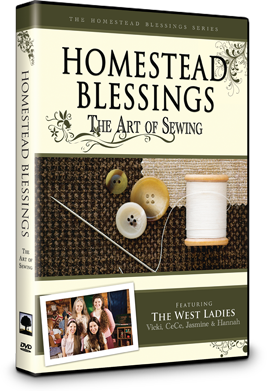 These wonderful DVDs are sure to provide hours of fun and useful instruction. 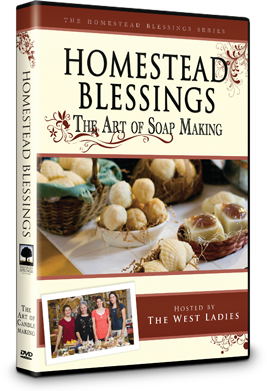 They include The Art of Bread Making, Candle Making, Soap Making, Canning, Gardening, Herbs, Cooking, Dairy, Sewing, Quilting, Crafting.